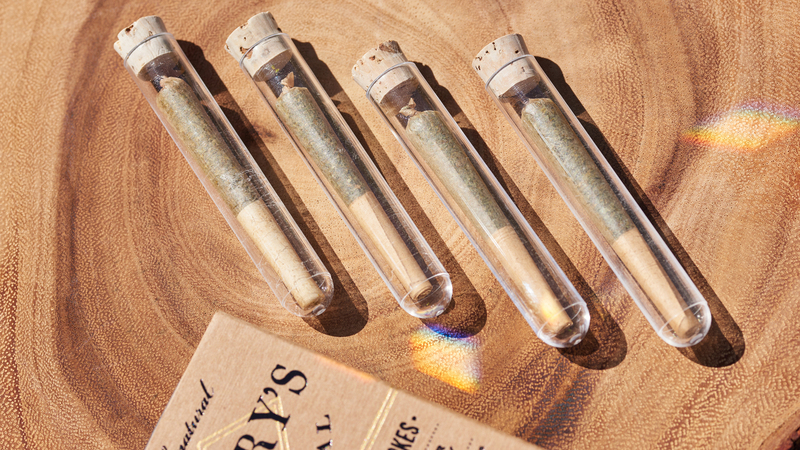 Henry’s Original is known for its premium cannabis flower and pre-roll products, but the brand’s background is also something to admire. Founded by Jamie Warm and Joshua Keats, Henry’s Original was founded with the legacy of the Mendocino Cannabis farmer in mind. After being involved in the cannabis community for 15 years, the two wanted to find a way to honor their background, so they began Henry’s Original as a plant nursery, which later sold to dispensaries, and in September 2017, the duo launched Henry's Original flower products. Get to know more about Henry’s Original and co-founder Jamie Warm in our interview below. How would you describe your personal relationship to cannabis? The plant has played an extraordinary role in my life. Cannabis has been a source of connection throughout my adult life. Its scientific impact will no doubt be discovered more and more in the coming years and its impact is unimaginable. Anecdotally, in my personal experience, it has helped me with physical and emotional pain, and in other times, brought great joy. It's a special plant that homosapiens consumed as hunter-gatherers, prior to the inception of agriculture. I think it's only natural for humankind to feel connected to cannabis. What were you doing before launching Henry’s Original? Cannabis has been my entire professional career. In college, I worked for one of the first cannabis dispensaries in California. I was fortunate enough to have a great mentor and learned to cultivate while I managed a retail dispensary. A few years later, I opened my own dispensary. In 2007, I ventured into Mendocino County in search of fine cannabis and deep culture. I was indoctrinated into the culture and couldn't leave. I focused on learning and mastering outdoor cultivation. Fast forward to 2015, when Artifact Nursery and Henry's Original were born. What makes Henry’s Original distinctive from other cannabis brands? Henry's is through and through a Mendocino County company. Mendocino has always been a cannabis production county. We have been producing cannabis as a culture and a county for the last 60 years. This is where American Cannabis was born. We focus on being a company with a regional identity and regional heritage. We offer the finest sun-grown clean green certified cannabis in California and all the land. What’s your favorite product from Henry’s Original? I'm a lover of good ol' fashion flower. It's rich. It's floral. It ignites the senses. For our pre-packaged eighths and pre-rolls, we've been cultivating a fantastic CBD varietal called Ritual. It has complex aromas that are just as fun and intriguing as any THC dominant varietal. When it comes to THC varietals, it's going to be a sativa with haze dominant terpene profiles such as Train Wreck, Snowcap, and Jack Herer crosses. Of course, our classic Spyrock OG would probably come before anything. What is a good strain for someone who is new to cannabis to start with? Ritual. It has very mild effects. The THC is under 5%, and it's mostly a feeling of body relaxation, without any psychoactive effect. It's a great entry point into cannabis flower. What changes in the cannabis industry do you hope to inspire through your brand? Community development. I've always believed that the flower brings the best people together. Our goals as a company is to build community, be sustainable, and be authentic. If we do our job well, hopefully we can inspire others. What is next for Henry’s Original? More products, more friends, more fun.